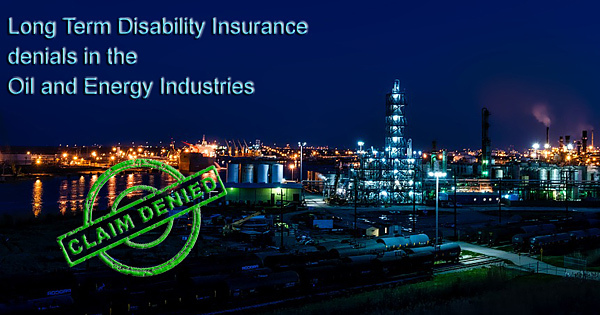 Many individuals employed in the energy, oil and gas industries are provided with long term disability insurance to pay them income benefits if they become disabled. The advantages of having long term disability insurance are especially important to individuals who work in the energy sector. This is because the nature of the work is often physically hazardous and the individuals can be exposed to an array of toxic substances. As an example, we have represented clients working in the oil and gas industry who have suffered lung conditions making them unable to return to work and others who have become disabled due to traumatic brain injuries which were received in well blow-outs. If you have become disabled and worked in the oil and gas industry you may be entitled to disability benefits. If you have been denied disability don’t give up! Believe in your claim. Call 512-454-4000 today. When long term disability insurance is provided by the employer, the insurance plan is most likely governed by Federal Law, specifically the Employee Retirement and Income Security Act of 1974 (ERISA) which provides certain protections to individuals with disability insurance. The bulk of these protections provided by ERISA however favor the insurance company. The insurance company is unfortunately given broad discretion in interpreting the plan and in determining to what extent the claimant is disabled and whether the disabling condition results from a mental or nervous condition with a limited duration of available benefits or a physical condition. Those individuals suffering from traumatic brain injuries and other types of head injuries are particularly vulnerable to an erroneous finding by the disability insurance company that their condition does not arise out of a physical condition, but instead arises out of a mental or nervous condition. If the insurance policy contains the standard two-year limitation of benefits for disabilities arising out of mental or nervous conditions, then a conclusion by the insurance company that the disability arises out of a mental or nervous condition will substantially limit the amount of available long term disability benefits and work greatly in the favor of the LTD insurance company. 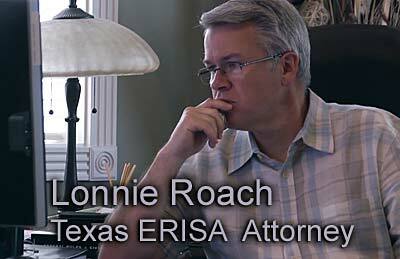 Experienced ERISA Long-Term disability lawyer Lonnie Roach will fight for you. Get the benefits you deserve. Individuals in the oil, gas and energy industries often have policies which entitle them to substantial disability benefits. As a result, the long term disability carrier has even more incentive to try to limit or deny long term disability claims made by members of this industry. In light of this, the disability law firm Bemis, Roach and Reed has been retained by numerous clients from these industries. We have been retained both to determine the amount of benefits available to the client as well as to defend the client against bad faith denials of long term disability claims by the insurance carrier. We have found that our success rate is substantially increased in cases where we are retained soon after the client’s receipt of a denial or a notification of an adverse decision by the insurance carrier. This is because ERISA has important appeal deadlines which are often rigidly enforced and which require the client to provide evidence documenting the nature and extent of the disability. What many workers in the oil and gas industry may not realize is that not only do they have the right to seek disability benefits after an injury, but that if they are denied they can appeal. Most LTD companies are only interested in profits and as a result routinely deny disability claims as a standard practice. For the disabled individual, this can be very distressing for not only can they no longer work to earn a living but they are now denied their deserved disability insurance benefits. At this time, it is crucial to have someone by your side who is well versed in ERISA disability law. Who will fight for you to win the benefits you deserve. Call 512-454-4000 and get help NOW.